Dr. Padma Subrahmanyam, the legendary Bharatnatyam dancer is a rare combination of a dancer, research scholar, choreographer, music composer & musician, teacher, author and indologist. She is now the director of 'Nrithyodaya'- the dance school founded in 1942 by her father, in Chennai. Padma grew up in an environment where both her parents were artistically inclined. Her father K. Subrahmanyam was an internationally reputed film director, freedom fighter and a parental personality in the cultural field while her mother Meenakshi was a dancer, choreographer, instrumentalist and a lyricist in Sanskrit and Tamil. Padma Subrahmanyam started learning dance under Kausalya, a young teacher at Nrityodaya. Later, she came under the wings of guru Vazhuvoor Ramaiah Pillai. She had her 'arangetram' (first performance) in 1956, since then she has given innumerable performances in concerts conducted by her guru, her school in India and toured abroad extensively during the past three decades. Meanwhile she continued her formal college education. She has had a number of gurus especially during her research- Guru Dandayuthapani Pillai and the various Devadasis from whom she learned ' adavus', Gowri Ammal from whom she learnt 'abhinaya' being some of them. Padma has also trained in music under B.V. Lakshman and Salil Chaudhry. Padma has a Bachelor's degree in Music, Master's in Ethno Musicology and Ph.D in dance from Annamalai University. As a research scholar she did her thesis on 'Karanas in Indian dance and sculpture' and highlighted the fact that the 108 Karanas (which is the basic units of dance) are actually movements and not just static poses. Padma Subramanyam has many awards and honours to her credit including 'Padma Bhushan', 'Padmashri', 'Sangeet Natak Akademi Award', 'Kalaimamani Award' from Govt. 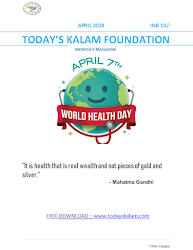 of Tamilnadu, 'Kalidas Samman' from Govt. of Madhya Pradesh, 'Nada Brahmam' from Narada Gana Sabha in Chennai, 'Bharata Sastra Rakshamani' and so on. She has also received the prestigious 'Fukuoka Asian Cultural Prize' from Japan for her contribution to development and harmony in Asia. She has served as a non-official member of the Indo-Sub-commission for education and culture.